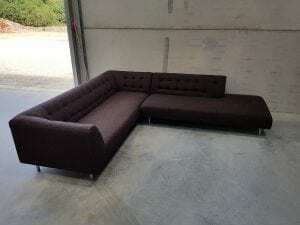 Please come and view this sofa along with all our other used office furniture at our showroom. Just contact one of our sales team by calling 07944 508282 and they will be happy to help you with this product or any other products that you may be interested in. Alternatively, if you are viewing our website on a mobile device, you can click on the telephone icon located at the bottom right hand side of your screen. Alternatively, you can enter your details into our ‘request a quote online’ form shown below and one of our sales team will be in touch shortly. If you are looking for another product, in a specific colour or finish, please look through all our second hand sofas & armchairs by clicking on the link provided. As always, this sofa can be viewed in our showroom along with all our other used office furniture.